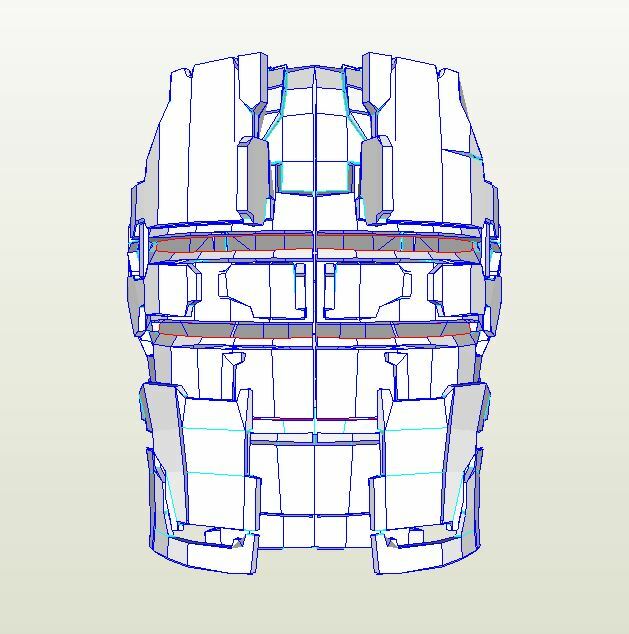 The first part of any cosplay I build it the helmet, this is the Dead Space 2 Engineering Helmet. I find that once you have the helmet done it’s a great inspirational piece to look at and keep you going, at the end of the day a full suit will always look better that just a helmet! Here is a video showing how I made my helmet. I found a pd0 file years ago on RPF and kept it wishing to make it some time. I found this file to be a fantastic start to point you in the right direction. I made a card helmet, then fiber-glassed it. I have a set of videos regarding how I got my scale right along with how I covered it in resin. Check them out in the Tutorials tab. After that, I made the add-ons out of EVA foam and added el tape into it for lighting. Later, I removed the el tape and added LED’s due to visibility. If you use this file please give me a call out and let me see your finished work. If I get enough feedback I will create a gallery containing other cosplayers builds!